Please click here for a list of counties that currently accept electronic payments. You may select the county link on the following page for a full list of docket types approved by the county for electronic payment. For Magisterial District courts, the case has a docket type of Traffic (TR), Non-Traffic (NT), or Criminal (CR). 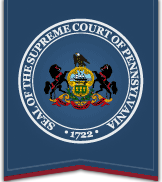 For Common Pleas courts, the case has a docket type of Criminal (CR), Summary Appeal (SA) or, for participating counties, Miscellaneous (MD) or Juvenile Delinquency (JV). Please click here for county participation. For Municipal Court, the case has a docket type of Criminal (CR) or Summary (SU). The case/payment plan has a zero or negative balance, except for certain cases that have been identified for prepayment for entry into a diversionary program. The case is sealed or has otherwise been secured by the court. The defendant is a minor (for Criminal (CR), Summary (SU), and Summary Appeal (SA) docket types only). The case/payment plan has a redacted caption (for Criminal (CR), Summary (SU), and Summary Appeal (SA) docket types in Common Pleas courts). The case is pending expungement.